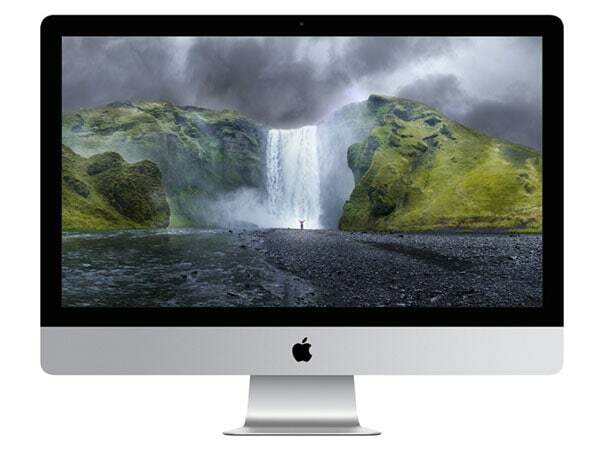 On the first day of Christmas my true love gave to me … a MacBook Pro with Creative Suite. Well, that’s not exactly how the holiday jingle goes, but if you are a web designer this list of gift suggestions is for you. 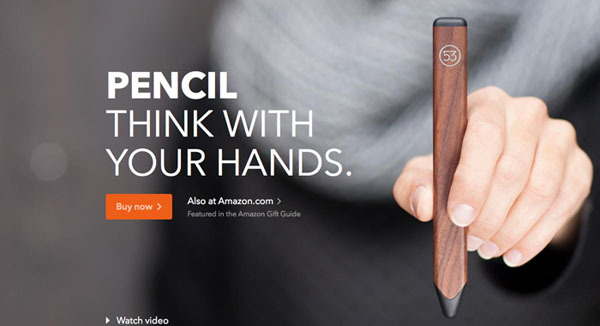 This pencil is not made for paper; it’s actually a stylus for your devices that looks like the traditional tool. It syncs with multiple online tools such as FiftyThree, Sketchbook Mobile and Noteself. It is the fastest and most expressive way to create on the iPad –named “Best iPad stylus” by WIRED and The Verge. This phone case is made from very soft, premium Italian leather with a slightly pebbled texture and fits your iPhone 5, credit cards and cash. The unique gift is handmade and is a specialty item that gifts great for men or women. 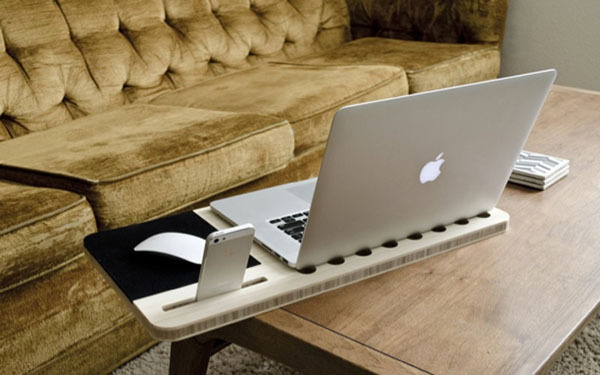 For designers who are always working, this little desk is perfect for keeping everything together no matter where you are located. It is cut from a block of pure, premium bamboo and is lightweight, strong and will absorb the heat from your laptop. The curves, air ventilation, and docking station are chiseled, hand-sanded, and polished to mirror the feeling of glass. A heavy duty mouse pad is installed and sits flush against the surface of the slate. What does it take to cut it in design? One of the most energizing creatives of our time talks about how she made it and provides inspiration for how you can do it to. 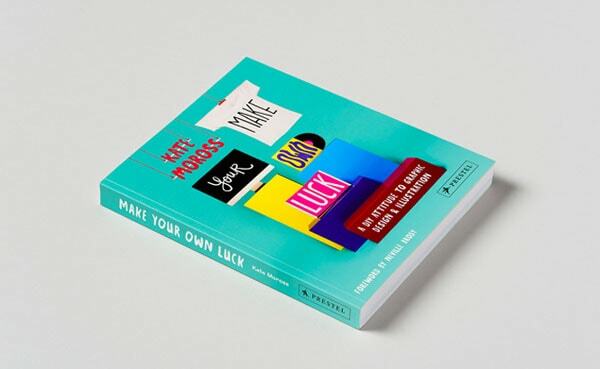 Written in an approachable, forthright and refreshingly honest tone, the book includes chapters on how to thrive in art school, developing your own style, how to self-promote, collaboration with other artists, how to deal with “copycats” and when to consider working for free. 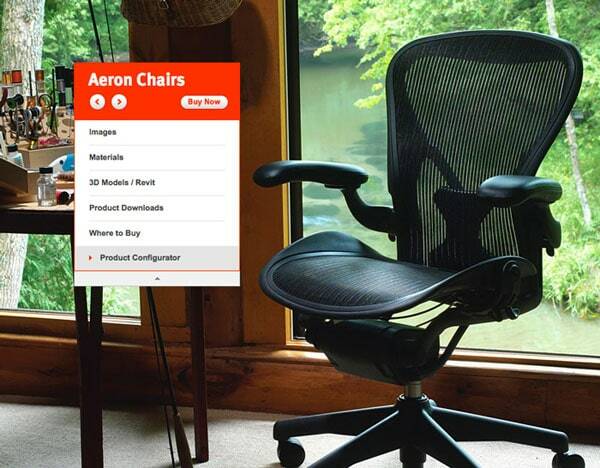 Everyone needs a great office chair. This is dubbed as the “most well-known ergonomic office chair ever made.” Enough said. Pick your own colors and fabrics for a unique finish. 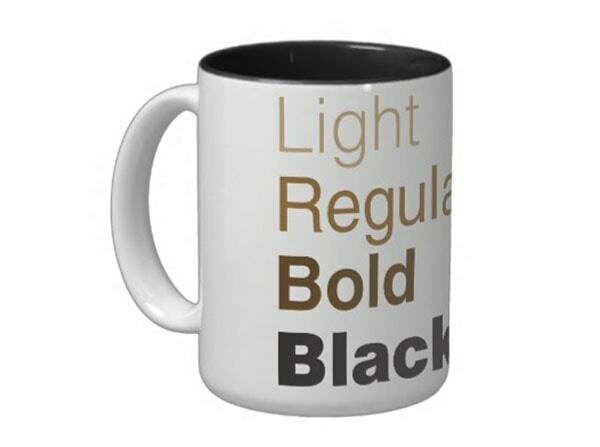 Helvetica is a favorite typeface of many designers and this clever coffee mug combines the greatness of the font, with a little java humor. The mug comes in several different styles so you can gift for someone who sips at home or on the go. Every web designer is used to building user interface elements on screen, but what about by hand. 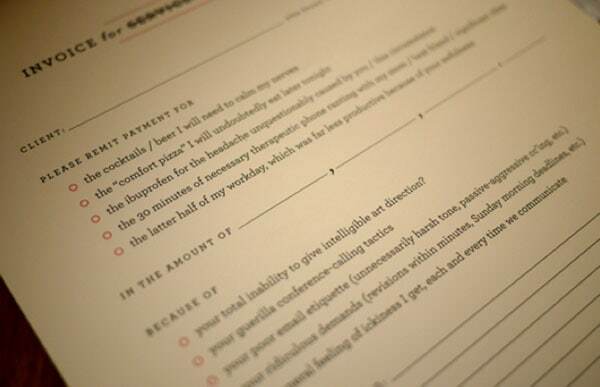 This fun little stencil kit allows designers to brainstorm ideas on paper. The kit comes with everything your favorite web designer needs: a stainless steel stencil, mechanical pencil, protector case, stickers and a downloadable paper template. Take a step back into the early days of web design and digital thinking with a set of floppy disc coasters. (Remember those?) 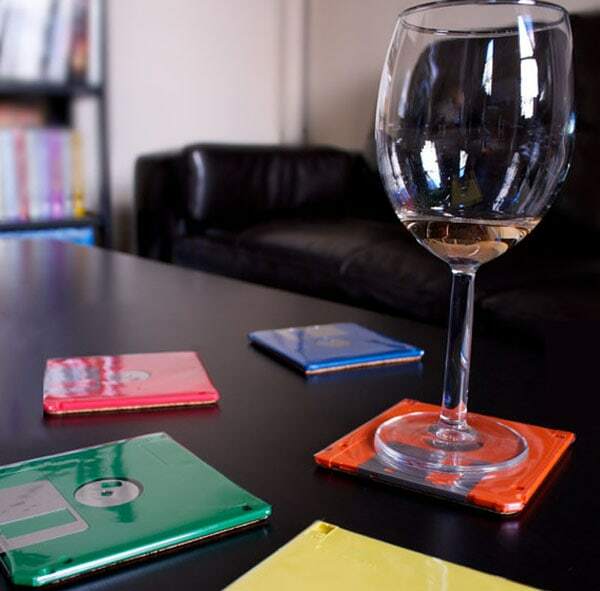 The set of five coasters comes in a rainbow set of colors and was actually featured on the television shows “Two and a Half Men” and “The Big Bang Theory.” Sets are also available in black, neon and other colors and each has a cork backing. Web designers spend most days working on a keyboard, so why not surprise them with a keyboard-shaped waffle for breakfast? The Keyboard Waffle Iron is a Kickstarter project by designer Chris Dimino and is a fun item that almost anyone will enjoy. The wafflemaker is made from die-cast aluminum, has bake resistant handles and is made for wireless stovetop cooking. It’s functional and will be a great statement piece as well. 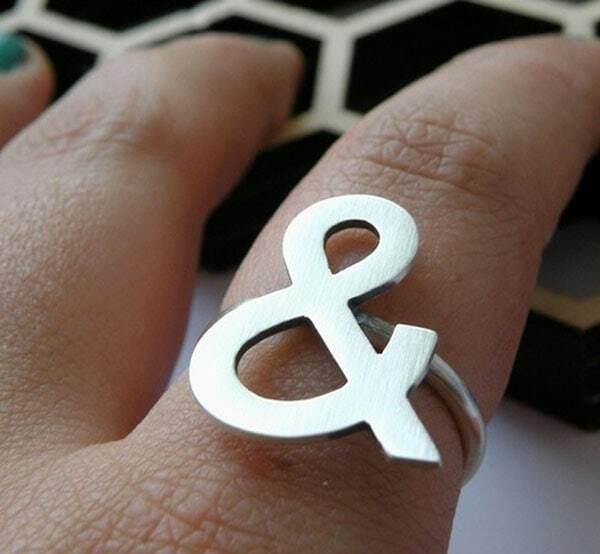 This fun ring is a nice way to show off one of the best characters in any type palette. The simple ring is made from sterling silver and in a simple enough style that a man or woman could wear it. 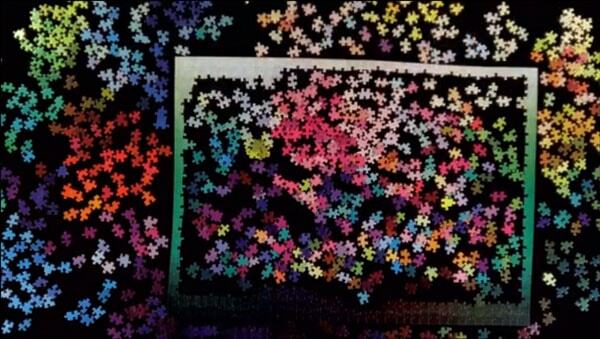 This 1,000-piece puzzle includes a tile of a single color and the task is to place each color exactly in relation to every other color. This is a fun designer challenge that could later be glued and used as a statement piece of wall art. 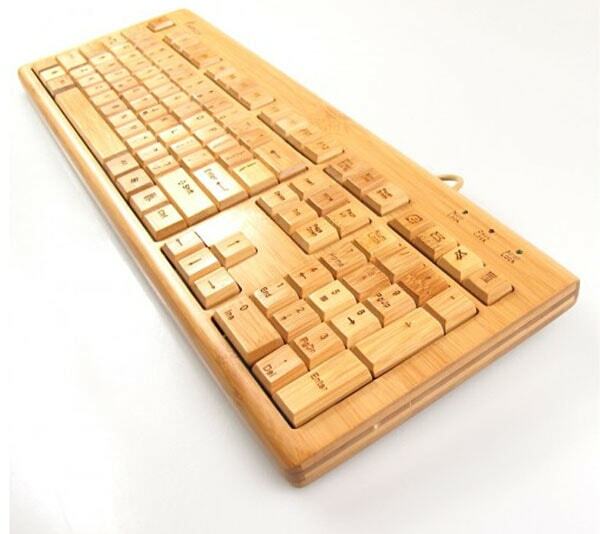 Hand-carved from natural biodegradable bamboo, this keyboard and mouse combo is unique and functional. The earth-friendly keyboard and mouse connect via a USB cable and is compatible with Windows and Mac OS. Now that we’ve picked out a collection of gifts, what more would you like this holiday season? What are you hoping to get or give this holiday season? We’d love to see some of your ideas in the comments. I love the list but thought it worth mentioning that LittlePrinter’s creator are winding down the service as of March 2015 so it may be a short-lived gift. It is a pity though as I did like the idea of it.